Healthcare abilities and facilities continue to grow and prosper in Blue Earth. Despite being a rural community, Blue Earth stands out for its quality of healthcare available, which is to the level typically found in much larger cities. 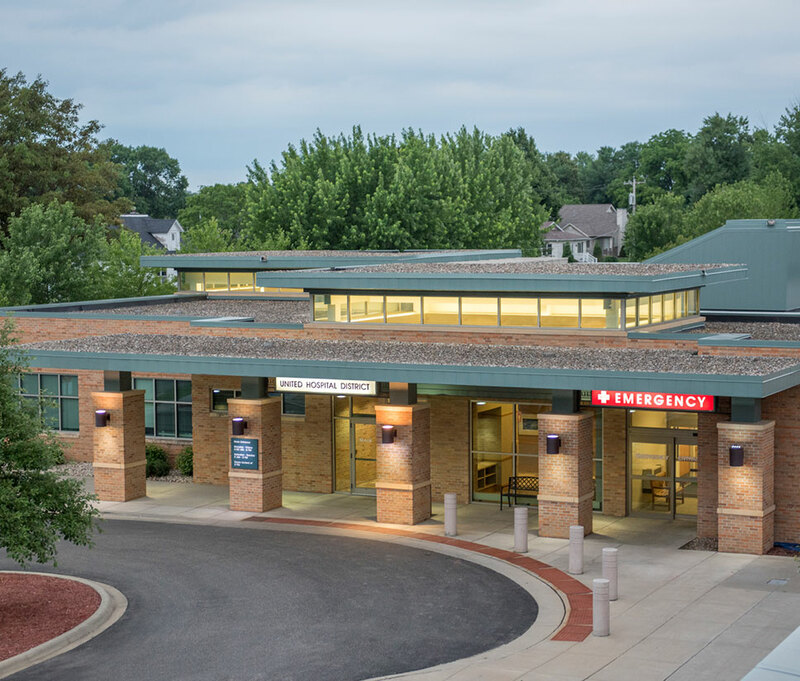 In fact, Blue Earth is home to a full-service hospital and is a part of the United Hospital District. Below are a list of resources to help you find the care you seek. United Hospital District is located in Blue Earth, MN at the corner of South Moore Street and East 11th Street. The hospital has a main patient parking lot located on South Moore Street. The parking lot is convenient for entrance into our main lobby and emergency department. Doors open 6:30 a.m. – 8 p.m. Urgent Care: 9 a.m. – 7 p.m.